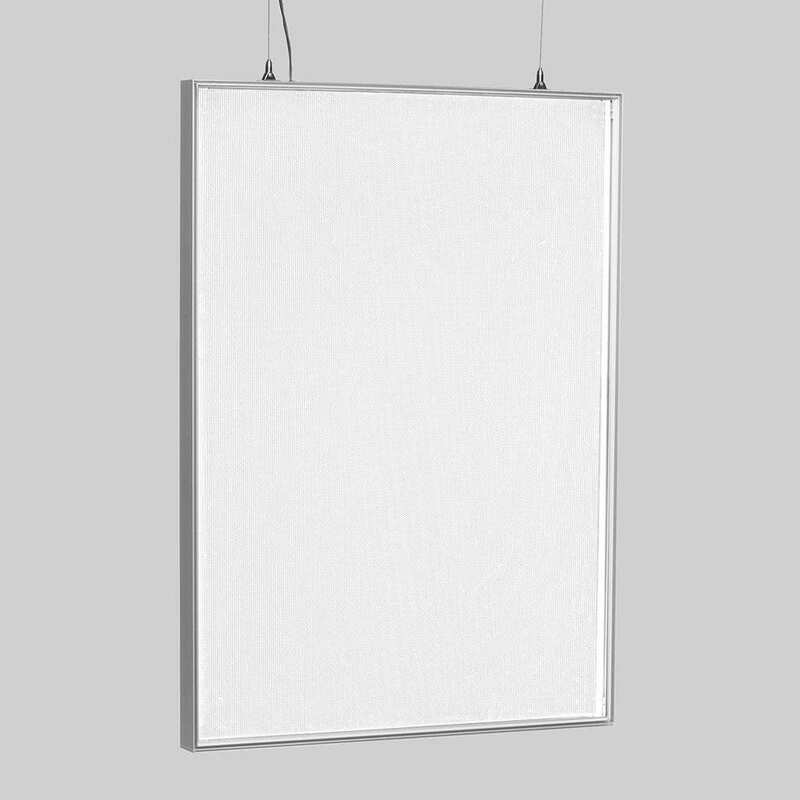 Although the frame of this light box is made of a high quality aluminum profile, it’s called Frameless Fabric Light Box, since only ⅛” of the profile is visible in front. We manufacture different types of Frameless Fabric Light Boxes. 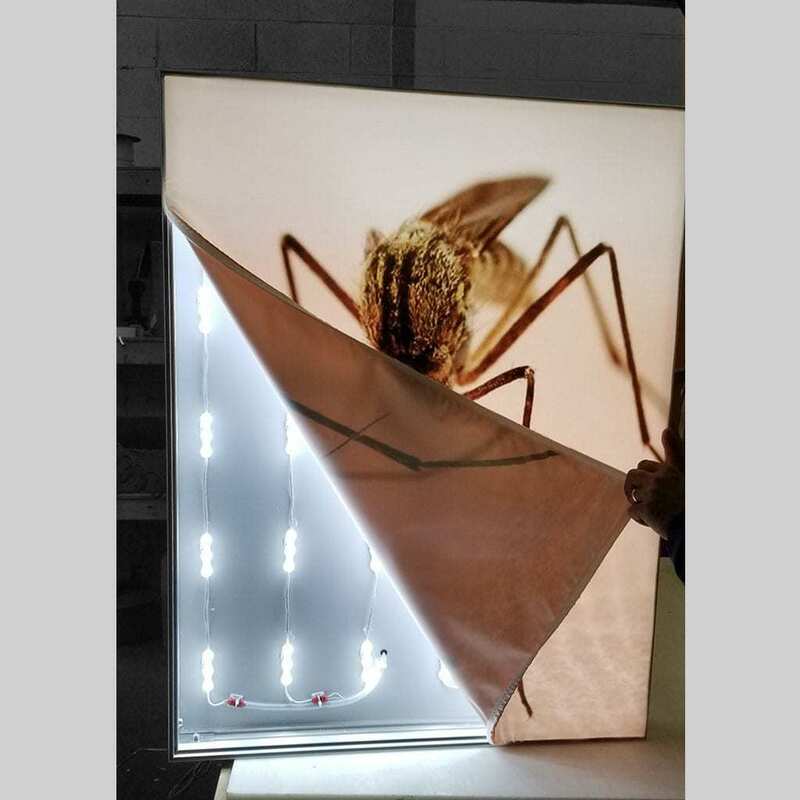 This is the most common type of LED Frameless Fabric Light Box. The LED light sources are placed on the frame (usually on the 2 long sides). We manufacture single sided, edgelit, with a very thin profile, which is only 1.5”, and double sided, edgelit, with 4” and 2.75” profiles. These are special and very powerful LED lights that can light up very big displays. Several rows of light can be installed next to each other for very large displays. The LED light sources are covered with special lenses that distribute the light evenly. The fabric on the front and back of the display helps reflect and distribute the light. 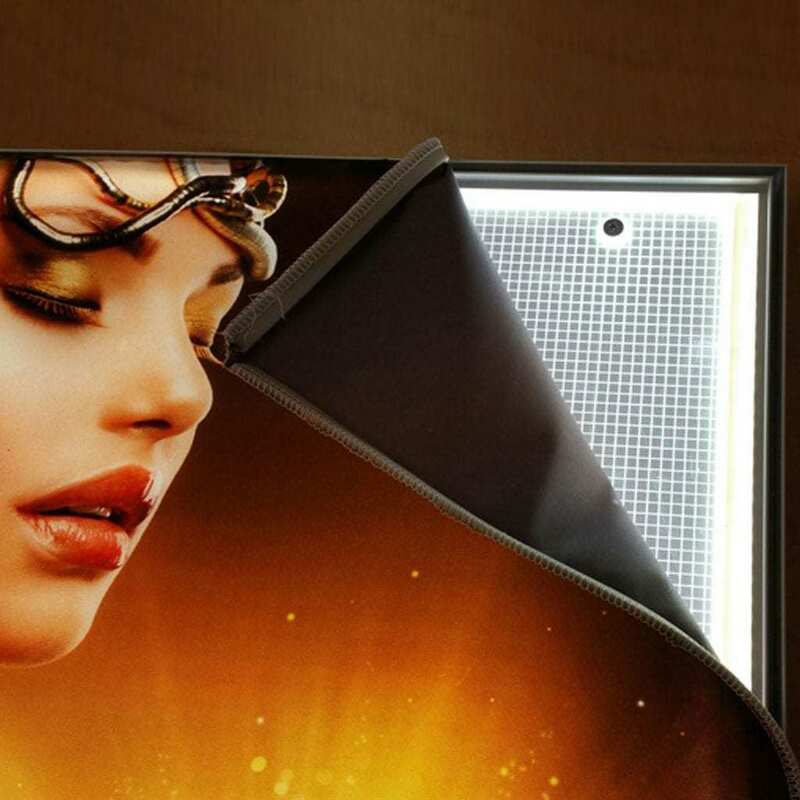 Our Free-Standing, Double Sided Fabric Light Boxes are Edge-lit, and we use 4” extrusion. They are shipped un-assembled for easy and more economical shipping. Assembly and installation are easy and fast. We can manufacture this type in very large sizes for retail stores and for trade shows. We use a 2.75” extrusion for our thin hanging Double Sided Fabric Light Boxes. This type is shipped assembled, and is very easy to install. 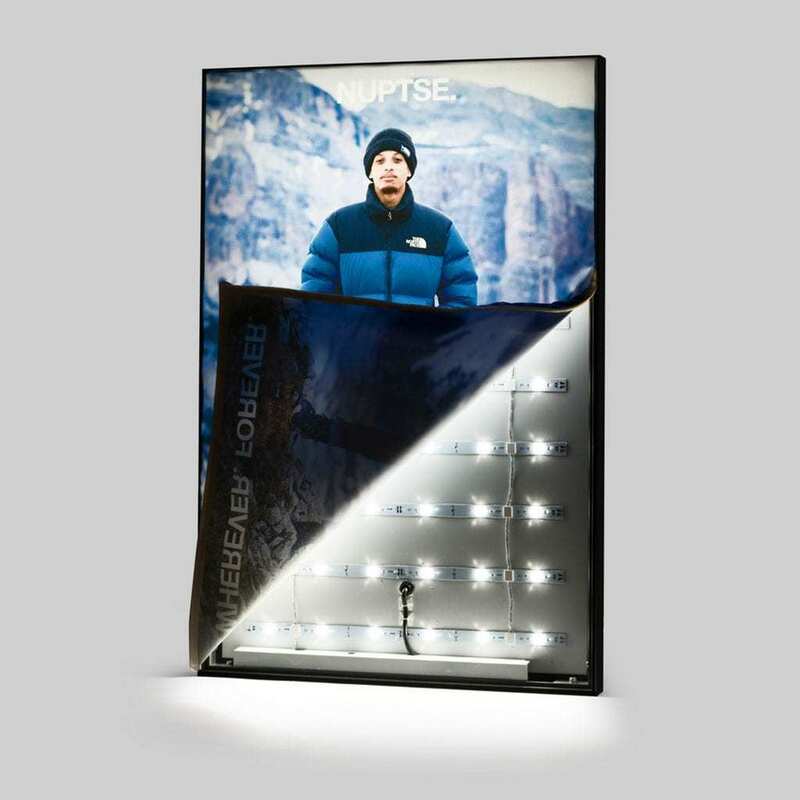 The light source of Back-lit LED Frameless Fabric Light Box is an array of many smaller LEDs that are placed on the back plate of the light box. This type of light box ensures very bright and even lighting of the display, no matter the size. We manufacture the back-lit light boxes with 2” and 3” profiles. They are shipped assembled, and are very easy to install. With these two profiles, we can have an internal power supply, which is dimmable. We can also make them with a low voltage dimmer, placed inside the light box.